From the Sprint Highway heading towards PJ, turn out at the Phileo Damansara junction and go straight towards the petrol station. Go straight and turn left at the traffic lights. Go straight past the apartments and turn right at the next traffic light. Go straight and turn left when you see a Shell petrol kiosk. Go straight and turn left into the shoplots. You will see Mei Wei on your left. 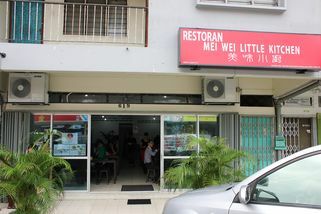 Mei Wei Little Kitchen is located in a quiet, secluded spot in Section 17, in the middle of a peaceful neighbourhood. 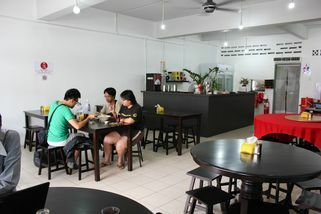 The ambience is clean and comfortable; a perfect spot for families and friends who want to enjoy a simple meal. Inside, there’s plenty of space for small groups as well as larger groups. 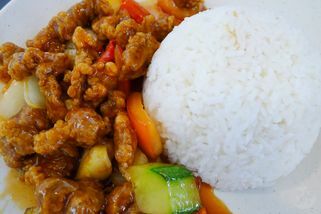 Mei Wei Little Kitchen boasts quality, home-cooked food that’s made with the freshest quality local ingredients. All their seafood is bought fresh daily, so nothing is ever frozen. The food here is highly reminiscent of mom’s home cooked food from childhood days. Their menu is 100% designed by their head chef, so all the recipes are original. 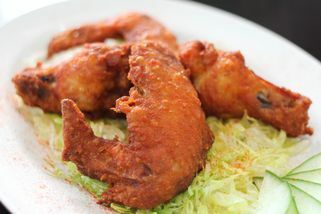 Some of their most popular dishes include: fish head curry (this is their signature dish), clams with broth, and Mei Wei specialty chicken wings. 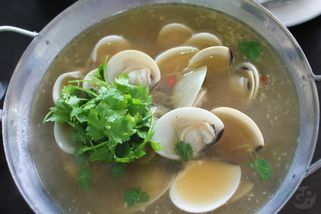 They are also very accommodating of diners who have food sensitivities or allergies, or even vegetarians. Just have a word with their server or chef, and any dish can be tailored to your preference! Tried this restaurant and was pleasantly surprised! It's got a very minimalistic interior, without frills and all that, so I wasn't expecting much... but their fish head curry is absolutely delicious. I am not a fan of sour curry, which is what fish head curry usually tastes like, but this one's not sour at ALL, which I really appreciated. Definitely going back again one of these days. Yup dont be fool by their simple decoration, as they really cook delicious food! i like their chicken wing!! must try! beside that , curry fish head is my favorite too as they use the fresh ingredient and i will definitely come back again soon. "Little Kitchen with Big Surprise"
This restaurant have a very simple setup, but be fool by the look, the food is top notch! I was very surprised by the food quality. Its a family run business. Must try the fish head curry, thousand layer tofu, hainanese mee, pork ribs, chicken wings. They are all very satisfying and the price is reasonable. Its at the old shops near PJ Seksyen 17 flats. Waiting for the tasty dishes of the evening, is the perfect way of ending the day. Must try the signature fish head curry, chilled thousand layered to-fu, XO sauce fried rice!! 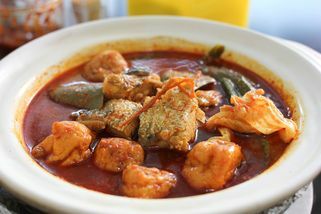 "Must try grouper fish head curry yum yum!!" 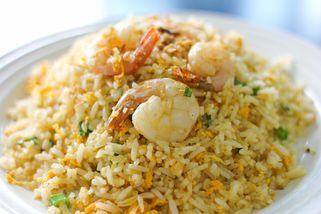 must try Golden Prawn Fried Rice, Thousand Layers Beancurd, Chicken wings and a lot more.....quality and fresh. Value for money! !